They came, paid their respects, reminisced and celebrated. Thousands gathered at the Tuanaimato Hockey Stadium yesterday to commemorate Samoa’s 54th Independence Day. 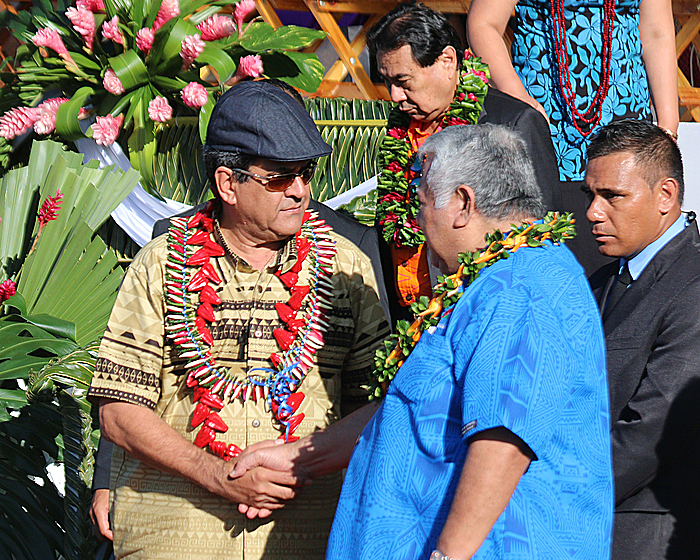 The Head of State, His Highness Tui Atua Tupua Tamasese Efi, Masiofo Filifilia Tamasese and Prime Minister Tuilaepa Sa'ilele Malielegaoi welcomed the distinguished guests. Among them was the Ulu Tokelau, Faipule Afega Gaualofa, American Samoa Governor, Lolo Moliga, President of French Polynesia, Tagaloa Eduard Fritch, M.Ps and diplomatic corps. Unlike previous celebrations that used to take place at Malae o Tiafau in Mulinu’u all the formalities and entertainment were held at the Tuanaimato compound. Member of the Council of Deputies, Tuimaleali’ifano Vaaletoa Sualauvi II had the honour to raise the national flag. As he hoisted the flag, the nation stood still and honoured the memory of the battle fought by their forefathers for freedom. Twenty-one cannons were fired continuously at the time the national flag and anthem was played by the Ministry of Police band. His Highness, Tui Atua spoke of the journey by forebears over a hundred years ago to reclaim Samoa for Samoa. “They realised that if they did not take a hold of Samoa’s destiny, they – and we – would lose her forever,” said the Head of State. “They realised that if they lost her then all that makes us Samoan – our faasamoa – would also, eventually, be lost. We come together today, on this 1st day of June, to remember and celebrate their success and their struggle to hold on to what is ours. 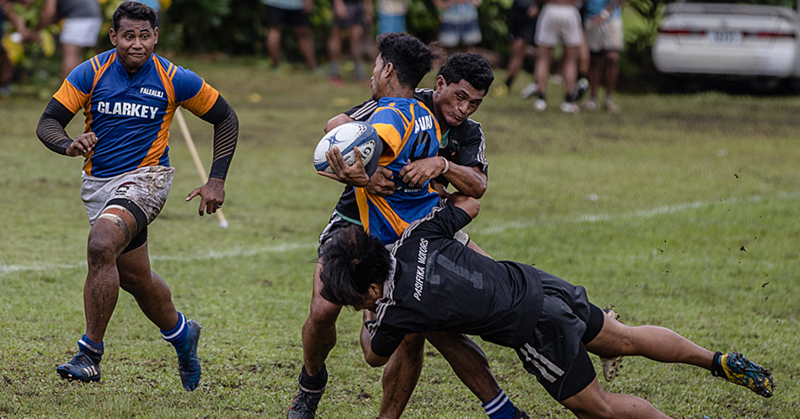 A nation that prides itself with the motto, “Samoa is founded on God”, Tui Atua pointed out as Samoans we believe that our achievements are blessings from God. 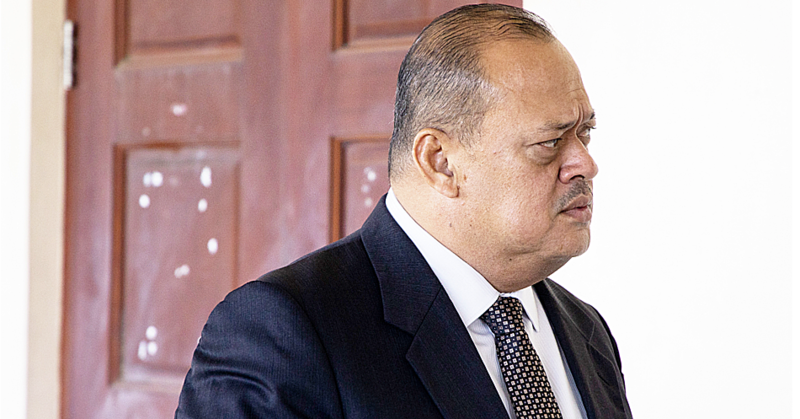 “As an independent nation we have shown the world that we can maintain peace and order throughout Samoa; that we can uphold religious and political freedoms, and find balance in our application of the rule of law,” he said. 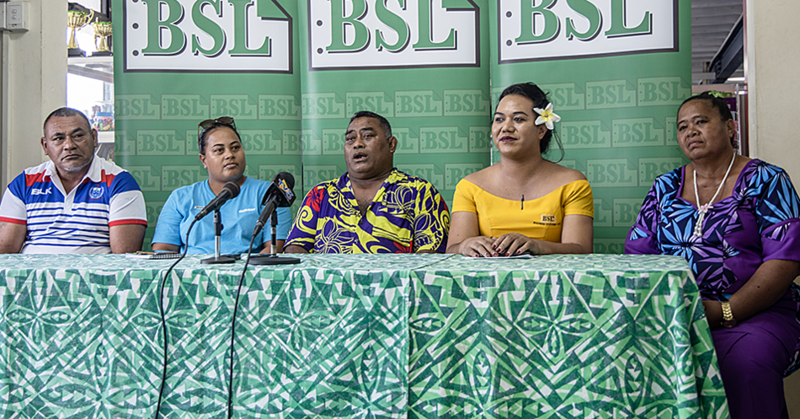 “We have shown the world that despite being a small country in the middle of the Pacific Ocean we have the knowledge resources and the will to stand up for what is right and good in our lives. The Head of State added that the celebration is to remember the journey of forebears. The celebration continued with more than forty government ministries, organisations, primary, secondary and tertiary schools as well as sports bodies marching and parading before the guests. There was also entertainment from several groups from Savai’i, American Samoa and locals.